This week on Bullpen Banter Kris (SnaggleJ) and I break down the latest stream from Sony San Diego where they discussed the changes to Diamond Dynasty in MLB The Show 18. We talk about the new Immortal cards, the changes to Programs and Missions, and the end of online franchise. The show is streamed live on Twitch.tv/ThatSportsGamer, so head over there, follow the channel, and turn on notifications so you know when we go live. Keep on the conversation going on the Bullpen Banter Discord Server. Help sick kids by donating to ThatSportsGamer’s Extra Life campaign. Bullpen Banter is a weekly show hosted by myself (ThatSportsGamer), Chris (MillsGamingTV), and Kris (SnaggleJ) dedicated to MLB The Show. We’ll give you tips, strategies and team breakdowns, to help you be the best MLB player you can be. The Bullpen Banter logo was created by BT Creative. This week on Bullpen Banter I recap the Sony San Diego “Commentary and Presentation” stream that included the addition of Mark DeRosa to the broadcast booth, learning about how many drops of rain can now up in the game, watching the fog roll in, and an update on Out of Position Logic that may have gone a bit too far. Bullpen Banter is a weekly show hosted by myself (ThatSportsGamer), Chris (MillsGamingTV), and Kris (SnaggleJ) dedicated to MLB The Show 18. We’ll give you tips, strategies and team breakdowns, to help you be the best MLB player you can be. This week on Bullpen Banter I recap the Sony San Diego “The Little Things” stream that included the new Batting Stance Creator, new legend teams, new throwback jerseys, and more. This week on Bullpen Banter I’m joined by Kris (SnaggleJ) to discuss what we saw in Sony San Diego’s stream talking about gameplay and AI. This week on Bullpen Banter I’m breaking down the MLB The Show 18 Gameplay Trailer, as well as talking about some gameplay videos that were released by IGN and GameSpot. This week on Bullpen Banter Snaggle and I team up to talk about the last big content drop from MLB The Show 17. The show is streamed live on Twitch.tv/ThatSportsGamer Monday’s at 9:30pm ET, so head over there, follow the channel, and turn on notifications so you know when we go live. Bullpen Banter is a weekly show hosted by myself (ThatSportsGamer), Chris (MillsGamingTV), and Kris (SnaggleJ) dedicated to MLB The Show 17. We’ll give you tips, strategies and team breakdowns, to help you be the best MLB player you can be. With awards season here, I figured this would be a great time to bring back ThatSportsGamer Show so that we could get a little bit more in depth than a blog post for some of the rewards. Also, doing some number crunching, and depending on how you count, this is either episode 95, 100, or like 107 of ThatSportsGamer Show. Since it’s a fresh start, let’s just call this our 100th episode!!! My funky math gets us here by having 94 episodes, and 5 “Hit & Run” episodes. So, without further ado, my selection for Non-Sports Game of the Year for 2017 is PlayerUnknown’s Battlegrounds (PUBG). 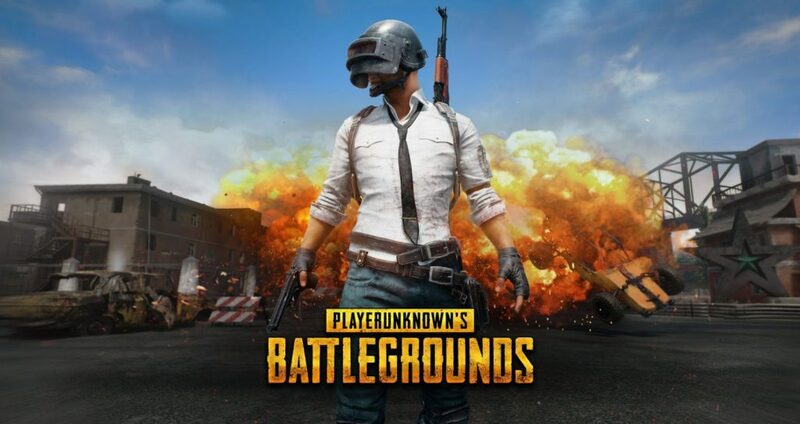 PUBG is a battle royale game, where 100 players are dropped onto an island, and battle it out to be the last man, or woman, standing. For this episode I decided to bring on a few folks that I play a lot of PUBG with, SnaggleJ, Hope, and JayOh. We talk about some of our experiences with the game, our tips for new players, and discuss why this game has struck a cord with us. Special thanks to Chris Beck for our outro music. This week on Bullpen Banter we’ve got two new Hardware Programs, one for Tim Lincecum, and one for Jimmy Rollins. There is also a new Dustin Pedroia in the Ticket Counter, new packs in the store, and a new Event. I break it all down for you on this episode of Bullpen Banter.